How to Retire Happy, Wild, and Free offers inspirational advice on how to enjoy life to its fullest. A comprehensive guide to planning your retirement before it's too late! Advice from Hundreds of Retirees. Shows the baby-boom generation how to plan for, and succeed at, this statge of life, whether relaxation, travel, education, or even a new occupation is the goal. A Comprehensive Action Plan for Securing IRAs, 401(k)s, and Other Retirement Plans for Yourself and Your Family. An indispensable planning solution that is sure to become the standard how-to on a complex subject that is becoming relevant to more people every day. Why It Takes More Than Money to Live Your Dream. Create a new life plan to thrive in your retirement. Planning Now for the Life You Want. 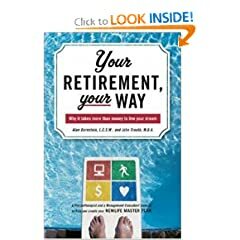 A retirement planning guide for all career stages, inspired by the world's best-selling career book. 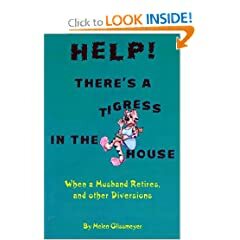 When A Husband Retires & Other Diversions. A collection of light-hearted vignettes for retirees by an award-winning writer.